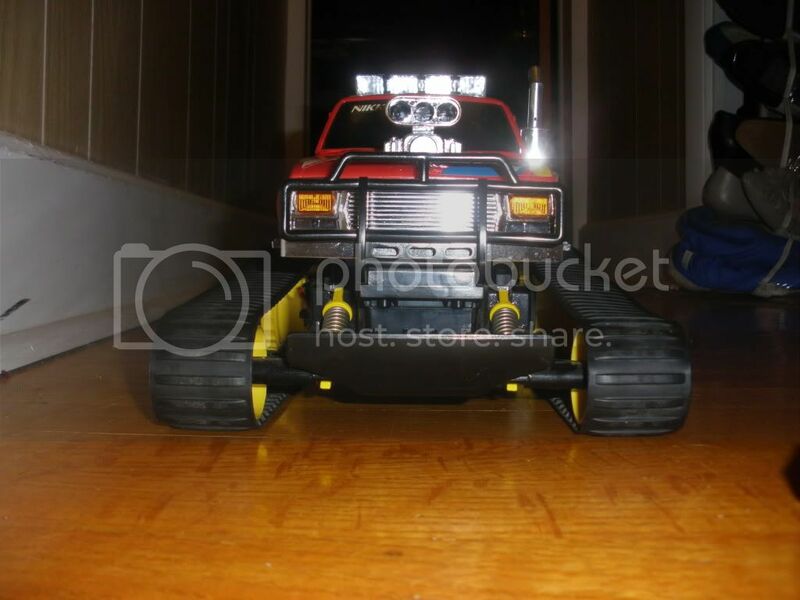 so here is my new fast traxx truck that while in transit the rear shock mount broke on the gear box. sad since it is such a small part but as we speak hopefully J.B. weld is doing its job. luckily they refunded me 20$ making this truck cost me a total of 48$ and some tenderlovingcare. 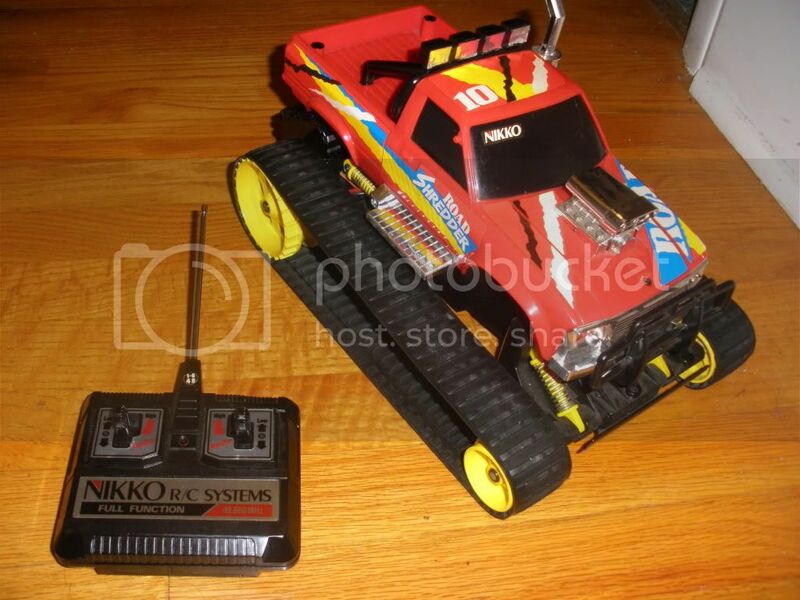 This next one Is the fast traxx truck's enemy the Nikko Land Shredder. 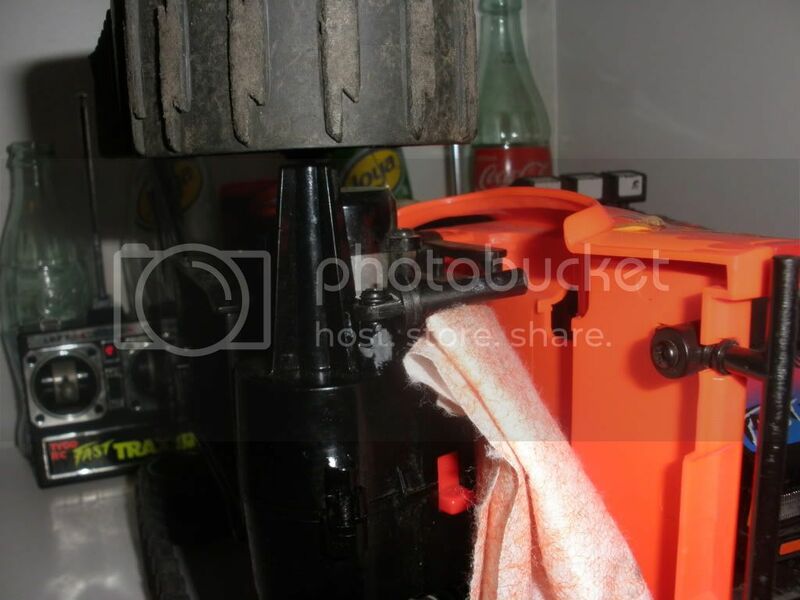 I recieved t...his knowing the engines weren't in the truck and that one tread was broken. It was said that it does work. so I put the engines back into the truck and just test it to see that it works. then to my surprise i find that the left side of the remote is non responsive. this wasn't listed though so I'm still waiting to see what the seller will do to correct this. 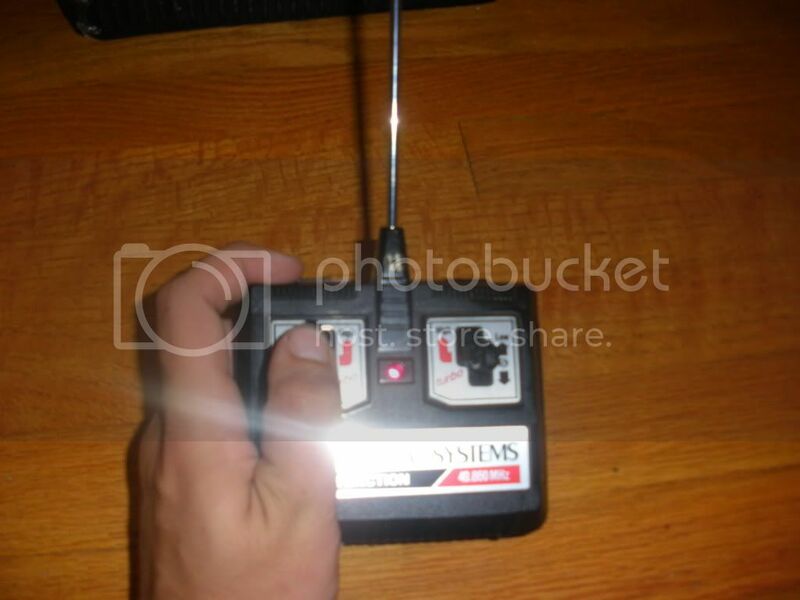 So tonight I ripped the remote apart and fixed it!!!! Then also i patched the tread with staples and glue haha. take a look. i don't know its been raining. 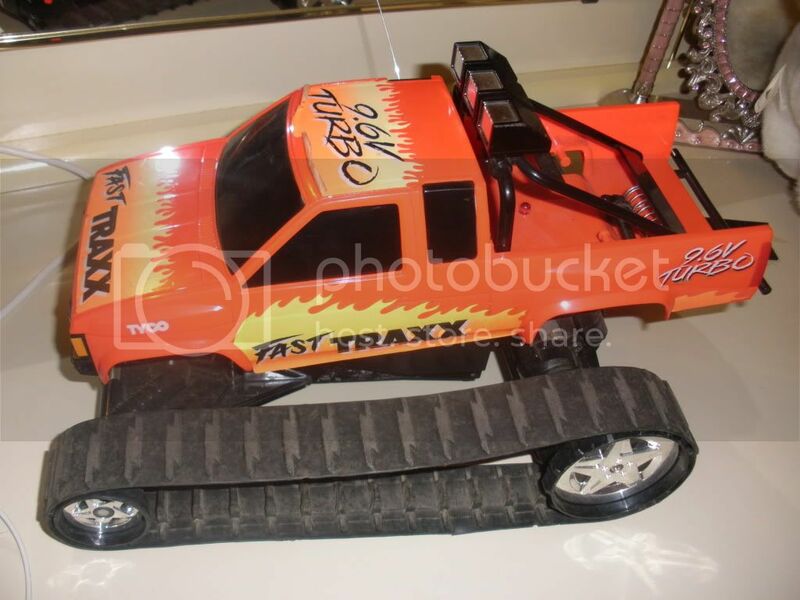 but i think it will be like the fast traxx in low gear about, maybe a tad faster not sure, i'll be able to tell by next week, i'm at the beach this weekend. of it, in the dirt/rough, (but I'd imagine that was a fluke of the one I had). there haha, when you refer to the two speeds do you mean the low, then turbo? -yep, & only a 1 spd. gbx. 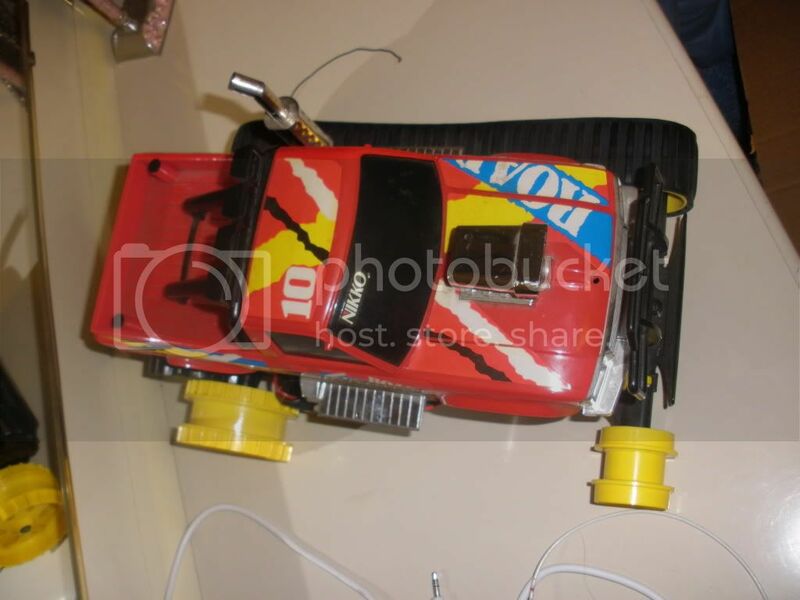 hmm my land shark had the turbo function on the remote plus it had hi and lo on the gear box, even so i dont think it had as much get up as the tyco, although it was still pretty cool. mine also had the screw loosening problem. by the way, you have an extra set of traxx belts you wanna turn loose of, cz?? i should have bought those probably. and i might be will to let a set go for the right price. 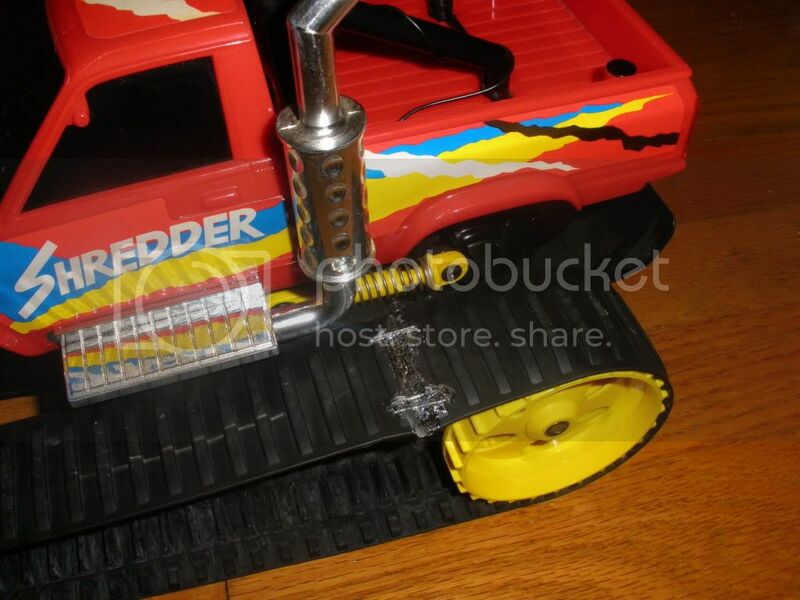 Just wondering where to get new rubber treads for nikko shredder ? I have one fully working but i lost belts . The Track and Wheel Set offers three different lengths of tracks to choose from, allowing for a large degree of adjustability and creativity in design. Sprocket wheels, idler wheels, and road wheels have all been included. 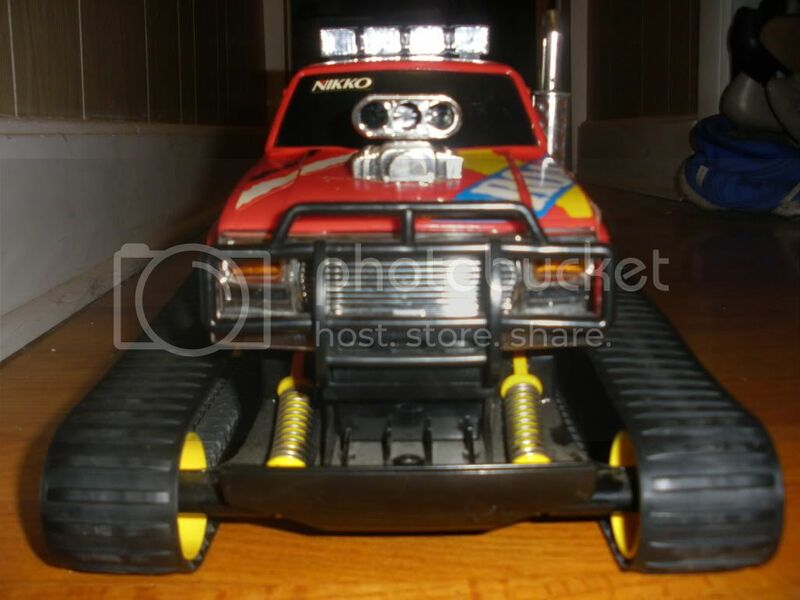 Can be used with a variety of Tamiya Construction and Robotics products. Wheels: large about 32 mm (1.25") and small about 11 mm (0.43") diameter.